The new US tariffs, which have been added to previous ones on specific products, will be 25 per cent for steel imports and 10 per cent for aluminium and affect all countries that sell them to the US with initial exemptions for Canada and Mexico. 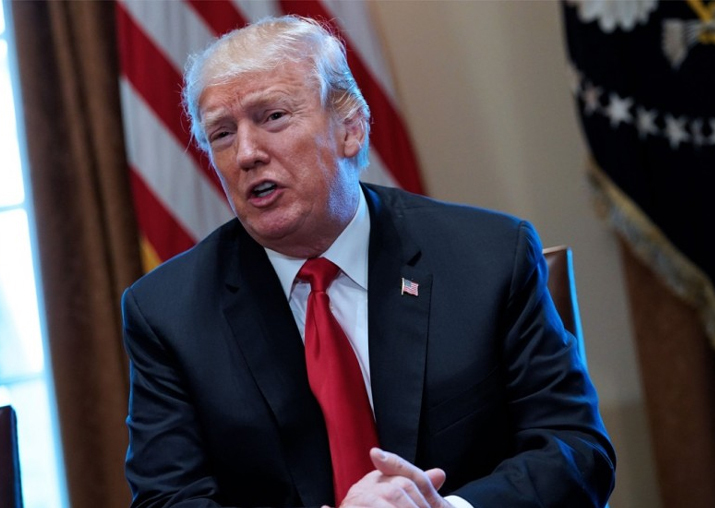 South Korea and China today reacted sharply to US President Donald Trump's decision to impose stiff and sweeping new tariffs on imported steel (25 per cent) and aluminium (10 per cent). The South Korean government slammed the US government's decision and said that it was considering protesting against the measure at the World Trade Organisation (WTO). "We express regret over the US government's decision to impose tariffs on imported steel even though the Korean government has pointed out the problems of this action through various channels," said South Korean Trade, Industry and Energy Minister Paik Un-gyu during a meeting with representatives of local steel companies. "If this action takes effect, it would inevitably deal a serious blow to South Korea's steel exports to the US," the Minister added. The Minister said that Seoul will continue to have dialogue with us President Donald Trump's administration for the exemption or exclusion of certain products, and at the same time explore ways to protest the decision to the WTO if Washington does not accept its demands. South Korea sent 3.6 million tonnes of steel to the US in 2017, making it the third largest exporter to the country after Canada and Brazil. China has called on the US to withdraw the new tariffs on steel and aluminium imports, warning of a serious impact on international trade. The Chinese Ministry of Commerce warned in a statement that it will take action against the new tariffs. "China urges the US to respect the authority of multilateral trade system and withdraw the measures as soon as possible," said Wang Hejun, Director-General of the Trade Remedy and Investigation Bureau. Wang said that Trump's argument was unjustified and goes against the trade order of the World Trade Organization (WTO) and reiterated China's firm opposition to these measures that will have a serious impact on the international level. The Chinese Iron and Steel Association (CISA) Friday also expressed strong opposition to the new tariffs that violate WTO rules and disturb the international trade order. "With the excuse of protecting domestic steel industry, the US pursues trade protectionism," CISA said in a statement cited by Chinese media and it urged Chinese authorities to counter Trump's measure with tariffs on US imports. CISA warned that the new US tariffs will hurt the steel industry worldwide, including the US, and particularly consumers of steel products. Protectionism has been one of Trump's campaign promises and the imposition of these new tariffs may open a possible trade war with other countries and organisations. Japan hit out at Donald Trump's decision to impose steep trade tariffs on steel and aluminium, saying it could harm economic relations between the two allies. "The measure could have a grave impact on the economic relationship of Japan and the US... and also on the global economy," said Foreign Minister Taro Kono, describing the move as "regrettable". The US is the largest steel importer in the world and the order could hit China, South Korea, Japan, Germany, Turkey and Brazil the hardest.